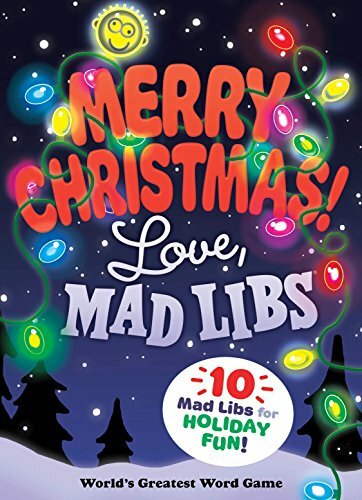 Celebrate Christmas with an oversize collection of 10 full Mad Libs books: Christmas Carol Mad Libs,Winter Games Mad Libs, Grab Bag Mad Libs, We Wish You a Merry Mad Libs, Mad Scientist Mad Libs, Field Trip Mad Libs, Spy Mad Libs, History of the World Mad Libs, Give Me Liberty or Give Me Mad Libs, and Gobble Gobble Mad Libs. If you have any questions about this product by Mad Libs, contact us by completing and submitting the form below. If you are looking for a specif part number, please include it with your message. Backwords: The Secret Language Of Talking Backwards And More Incredible Games, Stunts And Mind-Bending Word Fun!